Beware making pop-culture references at home, kids. The results can be unfortunate. Leave such things to us trained professionals. To wit: an op-ed from former NSA head and CIA director Michael Hayden in the Wall Street Journal this week. 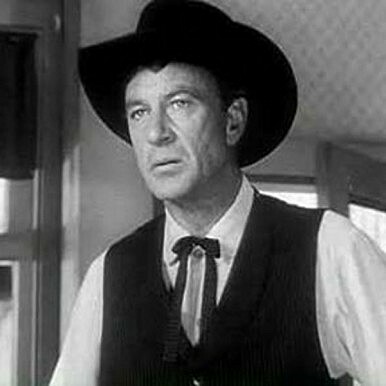 Hayden likens the furor engulfing the U.S. intelligence community to Marshall Will Kane's stand against Frank Miller and his band of thugs in the classic Western High Noon. 1. When writing commentary, it's poor form, not to mention rude, to cast your readers and the public you serve as cowardly townspeople. If the NSA controversy is High Noon, and if the NSA and kindred agencies are Marshall Kane, then the American people must be playing the part of the citizens who first applaud Kane's courage and resolve in their defense, then refuse to help him in his hour of need. Some even castigate him for provoking Frank Miller, and thereby causing the problem that endangers the town. The prudent columnist keeps such caustic views about his audience to himself. 2. Defenders of the intelligence community's collection practices point out that these agencies fear being accused of a 9/11-type intelligence failure, and thus tend to err on the side of doing too much rather than too little. They also maintain that the dividing line between friendly and hostile countries is blurrier than it might seem. All states have conflicting interests, so it's best to keep a sharp eye on everyone. Right? However that may be, it's hard to picture the straight shooter Will Kane protesting how hard it is to distinguish bad from good, foe from friend, black hats from white. No lawman worth his spurs flourishes his revolver in the direction of every stranger — just in case he turns out to be a bad guy. Are we really unable to tell Angela Merkel from the Frank Millers of the world? 3. There's another uncomfortable dimension to the High Noon analogy: the domestic one. Like any good lawman, Kane walks the streets of Hadleyville in peaceful times as well as battling lawbreakers when trouble blows into town. Maybe it was an oversight on director Fred Zinnemann's part. But the film never shows the marshal snooping through the townsfolk's mail while making his rounds, just in case someone's up to no good. That's the analogy to the NSA's supposed overreach in conducting electronic surveillance here at home. Isn't it? Reading others' mail would never occur to Will Kane, methinks. A well-chosen pop-culture analogy makes your point without raising or reiterating questions you'd rather downplay. A poorly chosen one tempts the, ah, wiseguys in the crowd to draw out its full implications. The Naval Diplomat's verdict on the NSA-High Noon analogy: fail.